Jim was born and raised in Penticton BC and now lives in Victoria. His art education consisted of courses from the Victoria College of Art, and from other artists. 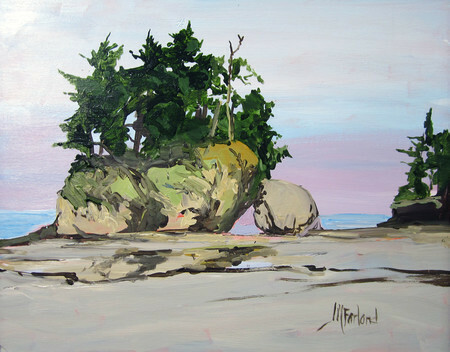 He is a signature member of the Federation of Canadian Artists and an elected member of the Society of Canadian Artist. His paintings are in private and corporate collections in Canada and the USA. Jim paints his larger works in the studio but very much enjoys painting on site, en plein air, where he can capture the ever changing but real colours and light of the world around him. You may often see him on the beach, a hill side, or a farmer’s field, painting.